Vanilla oil is extracted from Vanilla planifolia (a.k.a Vanilla fragrans) of the Orchidaceae family and is also known as common vanilla, as well as Mexican, Bourbon and Reunion vanilla. Vanilla oil has a rich, sweet, vanilla-like odor. It is a perennial herbaceous climbing vine that can grow up to 25 meters (82 feet) high and is native to Central America and Mexico. In cultivation, the deep trumpet-shaped flowers of the plant must be hand-pollinated, but in Mexico the native humming bird does the work. The green capsules or fruit are picked and 'cured' and the immature Vanilla pod or bean is fermented and dried to turn it into a fragrant brown vanilla bean. A resinoid is extracted from the 'cured' vanilla bean by solvent extraction. The main chemical components are vanillin and numerous traces of other constituents such as eugenol, caproic acid etc. 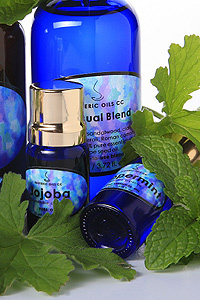 It is a non-toxic oil, but is not normally used in aromatherapy. Vanilla oil is used as a flavoring agent in pharmaceutical products, in food and in tobacco and is also an ingredient in some oriental type perfumes.